The Modi government's reforms have led to a dramatic improvement in the country's real estate investment prospects, says Associate Director, Asia Pacific Research, JLL, Lee Fog. There has been a growing recognition in recent years from governments, occupiers and investors in Asia that transparency is necessary for an efficient real estate market. Encouragingly, great strides have been made in this area. In the 2018 edition of JLL's Global Real Estate Transparency Index, Asia recorded the largest improvement of the four major regions. South and south-east Asia led the way in transparency gains, accounting for three of the 10 markets that registered the biggest improvement globally: Myanmar, Thailand and India. South Korea, meanwhile, moved into the "transparent" category for the first time. The change in India is striking, and a direct result of a clear legislative drive. The implementation last year of the Real Estate Regulatory Act (RERA) was instrumental in furthering prime minister Narendra Modi's agenda to reduce corruption and improve transparency. The government has also pushed to remove roadblocks in the REIT (real estate investment trust) industry. The strengthening of information in the public domain, including the digitisation of property records, also helped the country move up the ranking to 35th place. The change in India is striking, and a direct result of a clear legislative drive. The strengthening of information in the public domain, including the digitisation of property records, also helped the country move up the ranking to 35th place. RERA is a notable highlight that promotes transparency and accountability through wide-reaching regulations such as the requirement for real estate brokers to be registered, as well as a mechanism for homebuyers to resolve disputes with developers. These measures contribute to the broad professionalisation of the industry, although implementation has not been uniform across the country. Mumbai's home state of Maharashtra has led the way, but others have been slower to respond. These positive strides, in tandem with the country's bright economic prospects, have helped lift foreign interest in the real estate sector to new heights. International capital inflows are growing – private equity investment has risen threefold since 2014. Amendments to regulations under the Securities and Exchange Board of India have boosted investor sentiment about the development of the country's REIT market. Blackstone and Embassy Group are poised to launch the first initial public offering of a REIT. Such investors are more demanding, which has compelled data providers to improve their data quality and market coverage. New technologies are testing the traditional structure of India's real estate industry, creating pressure to improve transparency even further. Despite the progress already made, it is essential that the public and private sectors work together to ensure this positive momentum is not squandered. 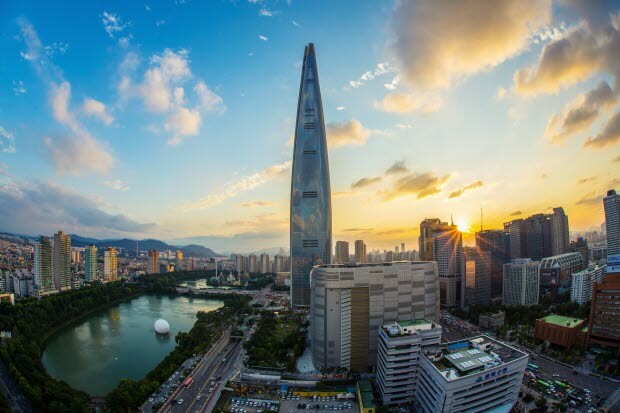 South Korea's rise into the "transparent" category of JLL's Global Real Estate Transparency Index has been underpinned by an improvement in market intelligence and sustainability. As the country opens up to overseas investment, there is a growing understanding of the need to accelerate reforms in transparency, the labour market and corporate governance. Heightened investor interest is prompting information providers to increase the depth of their non-office real estate coverage. The roll-out of the Korean Emissions Trading Scheme (KETS), which was initiated in 2015, helped push improvements in sustainability. Primarily designed to cover carbon emissions from industrial facilities, KETS encourages companies with emissions that are below the mandatory threshold to report them on a voluntary basis. South Korea has a high capability for strong innovation thanks to its engineering and high-tech industries, which boast a significant depth of knowledge, digital connectivity and advanced infrastructure. This represents a golden opportunity for the country to leap further ahead in the transparency rankings by embracing new technologies. The new wave of innovative proptech companies and digital platforms can be some of the strongest future drivers of real estate transparency.